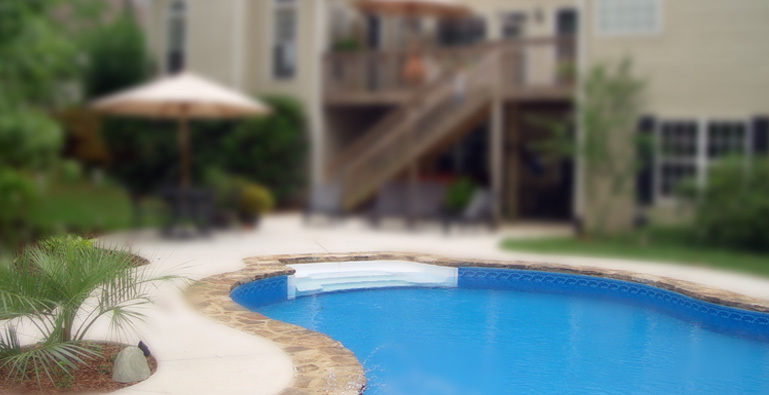 Summer Home Tips In The Atlanta Area | Marquis Management, Inc. Using an air-conditioner isn’t the only answer to beating the heat during Georgia hot and sticky summers. There are a lot of ways to keep your home cool before resorting to energy intensive air-conditioners that will increase your electric bills. Check out our best tips to help you to keep cool and save energy this summer. 1. When it’s cooler outside than inside, open your windows instead of using air conditioning. Use a window fan, blowing toward the outside, to pull cool air in through other windows and to push hot air out. 2. When it’s hotter outside than inside, close your windows and then draw window coverings against direct sunlight. Keeping your interior in the shade helps keep you cool, and your furniture from fading. 3. On hot days, delay heat-producing tasks, such as dish washing, baking, or doing laundry, until the cooler evening or early morning hours. 4. It's the "C" word again. if you haven't caulked in winter or spring as recommended, caulk around window and door frames, use weather stripping on exterior doors, and have a professional seal gaps where air can travel between the attic and your living space. 5. Turn the thermostat up. You don't need to live in a meat locker...so it doesn't have to be chilly in the house just because the air conditioning is on. Find a spot where your comfortable on not sweating...but not chilly either. Use your bath exhaust fan to remove excess heat, humidity and moisture generated by showers. 6. If your kitchen range hood fan exhausts to the outdoors, use it to remove hot air while cooking. 7. When you replace your light bulbs, use energy-efficient lighting in your home. CFL and LED light bulbs operate cooler and cost less to use because most of their energy produces light instead of heat. Incandescent light bulbs, on the other hand, lose 90% of their energy as heat. 8. Leafy shade trees planted on the east and west sides of your home can improve comfort and decrease cooling needs by blocking heat and sunlight. You’ll still have the benefit of heat from the sun in the winter, after the leaves fall. Ask at a nursery about the best species. Make sure you keep these branches off of your siding. These branches can act as "insect" highways, allowing pests access to your home. 9. Summer is a great time to make home improvements that can reduce both cooling and heating costs and make your home more comfortable all year. A Home Performance with ENERGY STAR® contractor can find and fix the causes of high energy bills, uncomfortably hot or cold/drafty rooms, moisture and air quality problems, ice dams, and more. 10. On hot days, delay heat-producing tasks, such as dish washing, baking, or doing laundry, until the cooler evening or early morning hours. Sometimes your home may require the use of an air conditioner. 1. When buying air conditioners, choose the smallest ENERGY STAR qualified unit appropriate for the size of the room you’re cooling. Too big a model not only costs more to operate but also can make a room uncomfortably clammy because oversized equipment can’t remove humidity as effectively. Check out our guide to choosing the right size air conditioner. 2. Keep outside air from leaking in by seeing that there are no gaps along the sides of your window air conditioner or between window sashes. 3. Remember to clean air conditioner filters regularly and keep the front and back of air conditioners unobstructed. Of course, you can always do more to reduce the heat in your house, and keep cool during the summer months. Keep the air moving, and you'll get through these summer months just fine. I'm always looking to save a little money. Thanks for the tips. Swapping light bulbs helps a lot. I noticed I'm cooler with the new bulbs when I sit on ,my couch to read my Kindle.